Like I’ve said before, one of my favorite parts of my room is where I sleep. Now knowing that I’ll be moving out of this room soon, I’m really cherishing the way it looks now. 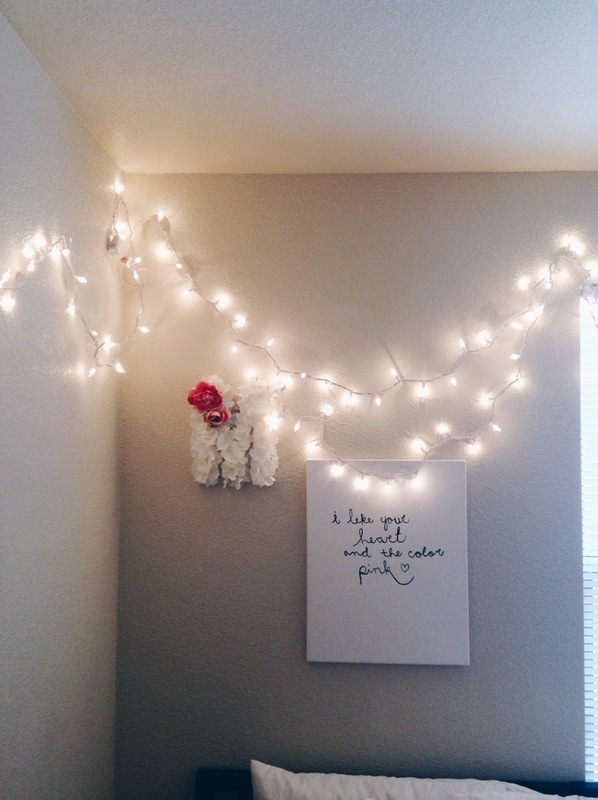 I love crafting so it’s a given that almost all of the decorations in my room are DIYs. Right above my bed are a crafted M and a canvas I painted (and can’t forget my Christmas lights). I love the color pink, so it’s fitting that the canvas proves that, right? A white canvas, black paint and the love of cursive really goes a long way. The M is simply a styrofoam M. White flowers were stuck all over. It was a gift to me, however the large pink peony and rose were a little touch added by me. 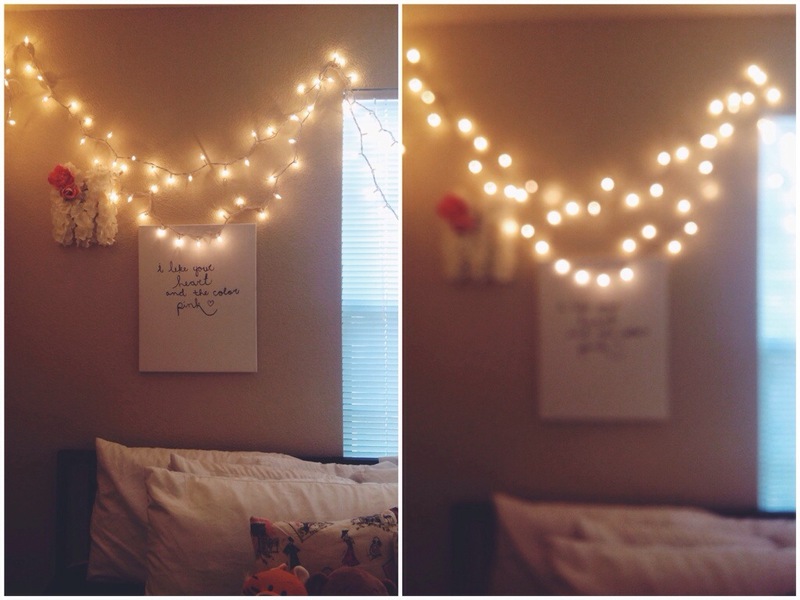 I hung the canvas and the M up first then I added the lights to the wall. Luckily it worked out well! The area around my desk is a another favorite of mine. Particularly the calendar I crafted. This was so simple! 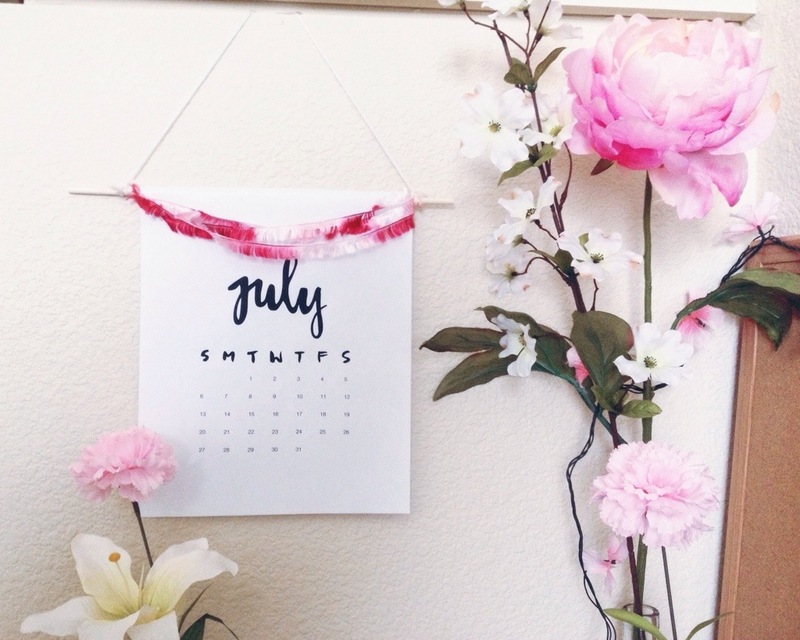 I found a calendar on Pinterest (currently July is hung up but I have other months as well). I attached it to a wooden craft skewer so that it is easily removeable. The pink string was an extra touch because, of course, I think pink is a nice touch. It’s very simplistic but the look of it all makes me pretty happy to have called this room home for almost a month. After this week is over, I will officially have completed my first week the job as a Resident Advisor for Casas del Rio at the University of New Mexico. It’s been a while since my last post, but with moving in, training all last week, and my first full week of work, i have been so busy! However, blessed an unbelievable amount. One of the first things that Travis, our Resident Director, told us during training, was that we are all a family. Only a week and a half later and I have never found something to be so true. But anyways, my favorite perk of working is my room. Currently I’m living in a temporary room because my permanent room is occupied by a summer resident. This just meant I have the whole entire room to myself for a month! I have a loooot of fun decorating it. i split the two sides (meant for two residents) into my bed side and my desk and everything else side. 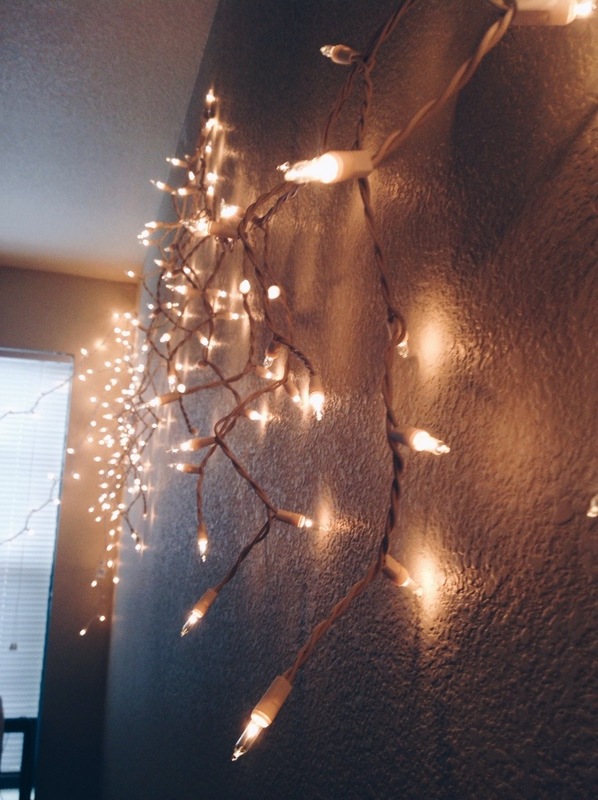 Where my bed is, is my favorite, mostly because I love the white Christmas lights. Currently one of my coworkers, Alyssa, is living in the suite next door to me. She is a new RA as well. We have gotten along so well and thanks to her I’ve made more new friends in one week that I did my entire freshman year. Like I said, I’m pretty blessed. 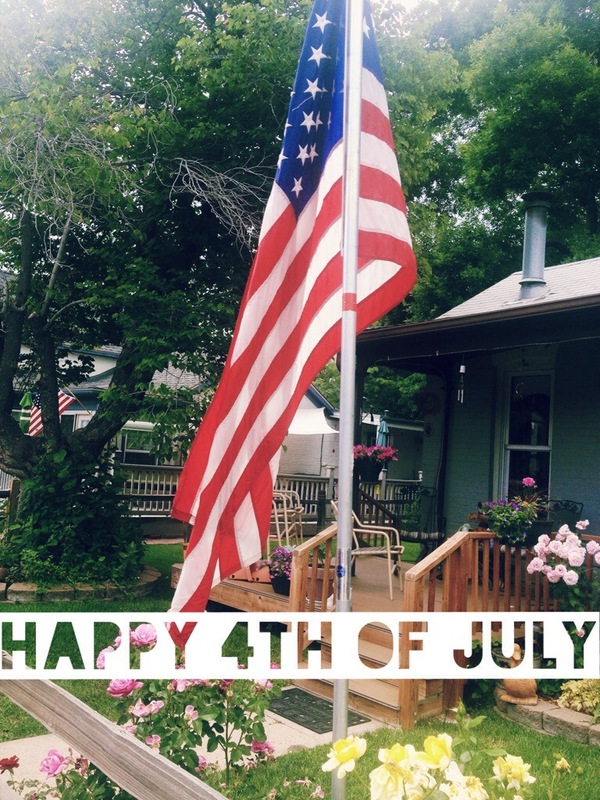 Happy Fourth of July all! I myself have had a wonderful holiday so far. Like I said earlier this week, my family and I road tripped to Colorado. We ended up spending most of the day in Boulder and what can I say, it was absolutely gorgeous! After we had our fun there we headed to Golden and walked around some more of the little outdoor shops. Golden was absolutely adorable and I’ve never had more fun. One thing I love about being out of town is getting to interact with those I’ve never met before. On our afternoon run to Starbucks in Boulder, I realized my Starbucks card on my iPhone wasn’t working so I asked the barista to see if he could help me out. When neither of us could figure out the problem he asks my order and said the drink was on him. I was delighted! I have never been served by someone so kind. I wish I had asked for his name so I could have properly thanked him, but unfortunately I forgot that little detail. We talked about our plans later for the day while he prepared my drink and later wished each other a wonderful holiday as I left with my drink. If one day you ever coincidentally stumble across this, thank you stranger!! One kind gesture can really change your day. Later tonight we’re headed back to Golden for their fireworks show. I thank the Lord for all the wonderful rain we’ve been getting, but hopefully we’ll get a break in time for the lights! How did all you celebrate your holiday? I’d love to hear!! 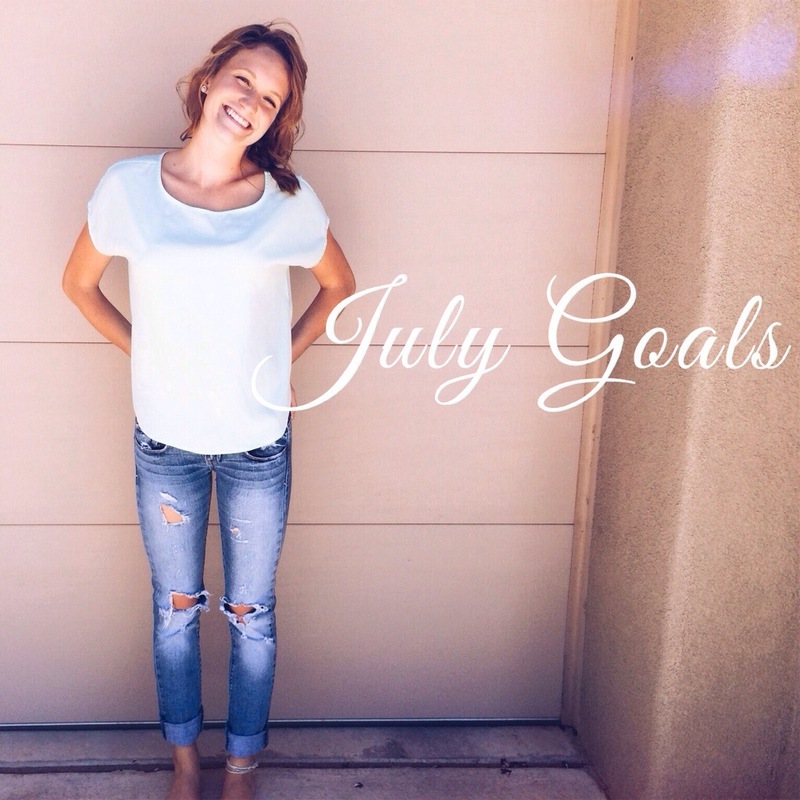 Being that July is so close to being upon us, I thought I’d give monthly goals a try! July is bringing a lot of change to me. This week I’m moving into the dorms on campus to start my CA training. Not only that, but this week is Independence Day as well, and my family and I are taking a little road trip! We’re headed to Boulder, CO for a few days to relax and enjoy the holiday. I figured setting some goals formally would help me stick to them and really work hard. I’m excited for July and what’s in store for me! And that’s all. Happy July to you all!